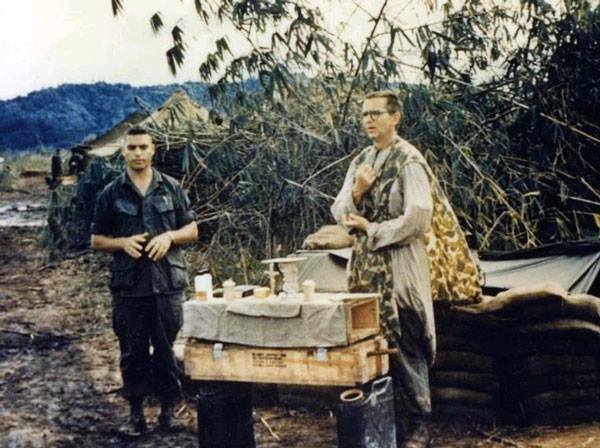 I first met Dr. Robert A. Seiple when he spoke to Army chaplains attending the Chaplain Captain’s Career Course at the U.S. Army Chaplain Center and School at Fort Jackson, South Carolina. His experience and message in his book is much broader than that audience, though. 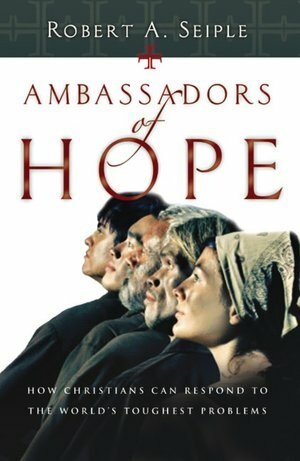 His book, Ambassadors of Hope, needs to be read by all of those who seek justice in the world. It should be consulted by anyone seeking to alleviate the needs of the poor and oppressed. It should be kept as a reference for missionaries and social workers. Dr. Seiple brings a wealth of experience to this work. 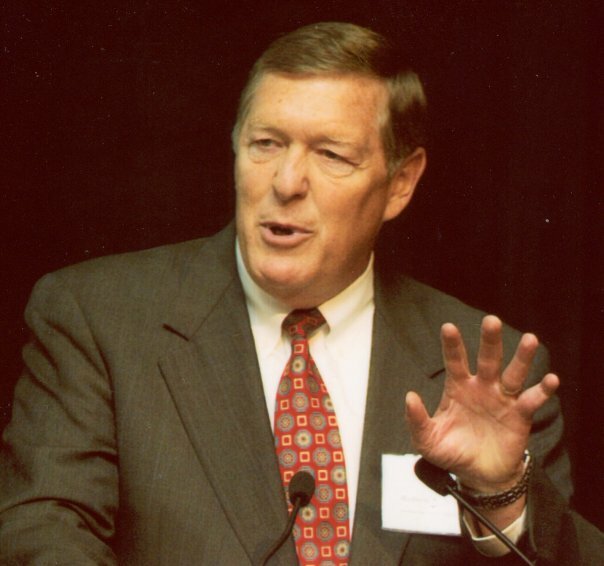 He was president of Eastern College and Eastern Baptist Theological Seminary, president of World Vision and was appointed by President Bill Clinton as the first Ambassador-at-Large for International Religious Freedom. He went on to found the Institute for Global Engagement. In this book, Dr. Seiple approaches the topic of justice from a “big-picture” perspective. His work with the State Department enabled him to wield the power of the United States in seeking to promote religious freedom in countries where it is limited, but through personal stories and specific admonitions, he brings both the responsibility and opportunity of individual work toward social justice to the hands of the reader. He divides the book into three main sections: What We’re Facing, What We’re About and What We Do with an overarching theme of reconciliation. He titles his ten chapters with the concepts that he believes bring about reconciliation in the world: relevance, challenge, diversity, truth, mercy, grace, justice, peace, effectiveness and hope. I will interact with the book organized by these ten themes. Dr. Seiple emphasizes that we cannot just sit back in our comfortable churches and homes and pray for justice around the world. 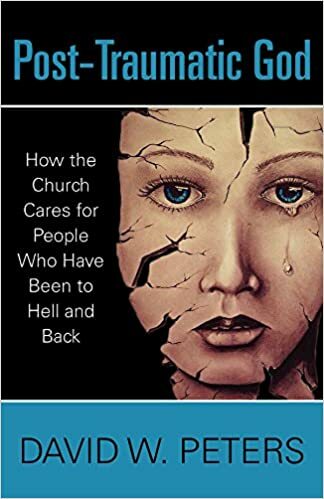 He confesses, “I have come to realize that it is not enough for my faith to work in the comfortable confines of my church, my community and this powerful nation that has shielded my life from so much potential harm. My faith has to work in the hard places. My theology has to touch the ground where people are hurting” (Seiple 2004, 15). This is what all of us must come to realize if we are to be faithful to the Missio Dei. If we are truly concerned for the oppressed of the world, if we believe that our theology teaches that we should help bring freedom to the oppressed, if our faith in God -our relationship with the Father- means anything to us, then we need to get our hands dirty. We need to go to where the needs are, where people are hurting. This is a message for the Church today. It’s not enough to pray for the oppressed peoples of the world, or even our communities. It’s not enough to write a check to support a food bank or to sponsor a child. Sometimes we need to go. Everyone can get involved in some way in their community or even the world to help ease the suffering of the poor and oppressed. The Church, the people in the Church, need to seek God and his Holy Spirit to guide them, and then they need to obey and get involved. If the Church wants to be relevant in the world, they need to be involved in the world, involved in relieving the plight of the suffering in the world. Dr. Seiple suggests that to be effective in the world, in making a difference in the world, we need to be both relevant and credible. He contends, “It should be the passion and the absolute nonnegotiable bottom line that we will be both true to our task (we will do what we say we are going to do; thus we will be credible) and we will excel at what we do (there will be positive results that will impact a community, making our witness relevant)” (Seiple 2004, 28). I think that by calling ourselves Christian, our task has been defined by Scripture so to be credible in the world the Church needs to seek to fulfill that task. The ultimate task for the Christian is to share the Gospel message with those who have not heard it, but I believe that the nearly equal task for the Christian is to address the needs of the poor, oppressed and neglected in the world. If we are to take our status as Christian seriously we need to take our task to go seriously as well. And as Seiple suggests, if we are going to go, we need to excel at fulfilling the task we’ve been given. As ambassadors of Christ, our effort should be executed with excellence since we are serving others as though we are serving Christ himself (Matthew 25) and since our labor should be as unto the Lord (Colossians 3:23). The issue of identity, and the very real question of whether we will respect someone whose identity is different from our own, has profound implications for our lives at many levels: the relevance of our Christian witness, the ability of a country to demonstrate effective leadership in the world and, ultimately, the ease by which the unimaginable can become possible (Seiple 2004, 51). If we are to accomplish our task, we need to recognize the differences that exist between us and allow those differences to be a source of engagement rather than a source of derision or even division. Dr. Seiple borrows from John Paul Lederach when “he suggests three factors that are prominent in the creation of enemies: separation, superiority and dehumanization” (Seiple 2004, 51). While I cannot deal with these fully in this post, we need to be aware that these are dangers that we can all too easily fall into which prevent us from respecting and effectively engaging the very people that we need to reach and partner with. Rather than this exclusion, we need to seek to embrace others by, “acknowledging that all are created in God’s image” (Seiple 2004, 64), “knowing others by name” (Seiple 2004, 65), and “becoming friends” (Seiple 2004, 69). If we do these things, effective engagement and our desired reconciliation are sure to follow. In his discussion on truth, Seiple pursues “truth-telling” as an engagement in confession and forgiveness. He acknowledges that with some enemies you may not know what or how to speak truth to them but asserts, “I firmly believe that finding that point of commonality is nothing short of a profound moment of grace. . . one does not always tell the truth and one does not always find something in common with one’s enemy unless there is a nudge of the Spirit” (Seiple 2004, 76). As Christians, the guidance of the Holy Spirit needs to be paramount as we seek to build bridges with those we desire to serve. To find that common ground on which to build a relationship, the rocks and weeds of offense need to be confessed. We may need to acknowledge our lack of obedience, or even lack of disregard for the plight of the oppressed before we can move forward toward a relationship that enables reconciliation and freedom. Truth keeps the process of reconciliation from becoming abstract. What keeps forgiveness from doing the same? …’Truth without love is aggressive; love without truth is mere sentimentality.’ How much mercy do we apply to truth? How much love is needed to generate forgiveness? How strong a prompt of grace will be required to get us through the difficulties created in our past (Seiple 2004, 88). If we are to see reconciliation, truth must be told, and forgiveness must be given. We need to remember, “Mercy is a conscious choice made tangible in the act of forgiveness and prompted by grace . . . if reconciliation is the heart of the gospel, mercy is the heart of reconciliation” (Seiple 2004, 88). We need to experience mercy -received and given- to move forward in the task before us. If any concept is most related to our faith, it is grace. “When grace is absent, our faith is diminished and our witness is unattractive” (Seiple 2004, 99). Having received grace, we can place ourselves properly in the world as undeserved, the same as those whom we seek to serve. If we correctly recognize that everything we have received is a result of grace -unmerited favor, then it is easier for us to remove the misconception that delays or hinders our work with the poor: that they do not deserve our help. Those who “have” are no better than those who “have not,” the “haves” have just been the recipients of grace while the “have nots” are yet to be given the opportunity to receive grace. Christians, more than any non-faith based NGO or government, should be the harbingers of grace in the world. It is grace that makes us different; that makes us attractive. According to Seiple, “. . . the presence of grace makes our faith visible. The world is drawn to it like a magnet. Our gospel becomes real and irresistible, attractive to both the proud and the downtrodden. It is the absolute best we have to offer, and it costs us nothing. It cost God everything so that it could be freely offered to those who desperately need access to him” (Seiple 2004, 99). We need to live out our grace as we share it with the world in both the Gospel message preached, and the Gospel mission taken to the poor and oppressed as we work to lift them out of their poverty and oppression. It is grace that empowers our message and ministry. The idea of justice is often seen as being in the hands of the government, and often the world sees the United States as the “long arm of the law.” Dr. Seiple states, “when we in the West examine our power and authority in the context of our culture, systems and traditions, we should feel the enormity of our responsibility. Jesus said, ‘From everyone who has been given much, much will be demanded’ (Luke 12:48). Indeed there is greater accountability for what we do and how we implement this component of justice. Accountability is very much a part of the ‘doing’ of justice” (Seiple 2004, 112). We should engage the governments that can help ensure justice to enable other acts of compassion to be performed around the world. Many times, there is little that the Church can do until the State has made things right in the area of justice. We cannot leave seeking justice to the government alone, however. We need to remember “power and authority come from a credible witness, from trustworthy relationships, from proper motivation and from individuals who are demonstrably good” (Seiple 2004, 113-114). This means that Christians need to be involved in the process. While engaging governments, Christians need to also be engaging people, making relationships, building trust, and giving grace. As justice and reconciliation are brought into a society, peace becomes possible. Peace is something that requires both large-scale and individual engagement. For the Christian, the greatest peace that can be brought to a people is that internal peace that only God can give. However, to pave the wave for bringing the message of peace there needs to be the kind of peace that a government secures for its people; though admittedly, this is often hard to achieve. Dr. Seiple offers four components to build peace, which I think are all self-explanatory: 1. “Respecting security” (Seiple 2004, 132), 2. “Taking the first unilateral step” (Seiple 2004, 136), 3. “Making an appropriate apology” (Seiple 2004, 137), and, 4. “Speaking about the future together” (Seiple 2004, 139). These are steps that both governments and individuals should take to build peace together. There is a potentially huge stumbling block inherent in the exercise of global engagement that can prove to be downright paralyzing to those who are making their way out on that proverbial dance floor. 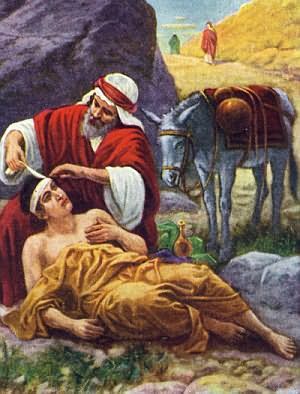 Simply put, our Jericho Road is a whole lot wider and longer, not to mention more complicated, than the one traveled by the Good Samaritan. To call the obvious into focus, there is certainly more than a single victim on our road today. Our Jericho Road is as wide as the information highway. Our victims are as numerous as the bandwidth we can afford. On a good day, we are humbled by the amount of hurt that exists in the twenty-first century. On a bad day, we are paralyzed by the overwhelming needs (Seiple 2004, 154). We need to be careful not to allow the seemingly unconquerable mountain before us to deter us from our task. We cannot view “success” as the completion of the task throughout the world, but rather acknowledge our part in it. Seiple offers the words of Mother Teresa to encourage us, “God has not called me to be successful, only obedient” (Seiple 2004, 155). So we must be obedient. God has made His mission known throughout the pages of the Bible. He has called us to engage the world to take them the Gospel message as we meet their needs. He has called us to be obedient. God has given us hope. He sent his son, Jesus, into the world to die on the cross that we might have eternal life. We have the very real hope of abundant life today and for all of eternity because of what God did for us. Seiple continues, “And now we are his agents of the same gift. We are obliged to be appropriately engaged in his world. We are ambassadors of a kingdom whose constitutional foundation is reconciliation; we are his ambassadors of hope” (Seiple 2004, 201). We have the message that brings spiritual hope to people, and we have the means to bring tangible hope, as well. It is what we are called and sent to do, both in our communities and around the world. It is our responsibility and extreme privilege to participate in the Missio Dei. In addition to Ambassadors of Hope (Robert A. Seiple, Ambassadors of Hope, How Christians can Respond to the World’s Toughest Problems [Downers Grove, IL: InterVarsity Press, 2004]), Dr. Seiple has also authored A Missing Peace, Vietnam: Finally Healing the Pain with Gregg Lewis and One Life at a Time.